Become a member of the most experienced, respected and established company of our type in the Northeast. Other companies try to imitate us but none can come close. You can be proud to say, “I work for Glengate Company.” Glengate is an Equal Opportunity Employer. 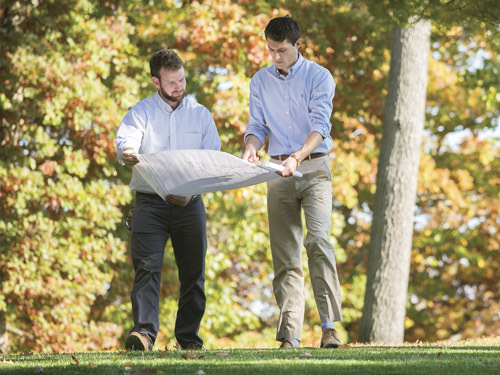 In this department you will be part of a dedicated professional landscape team that services some of the most prestigious residential properties in the Northeast. Members will be exposed to all aspects of landscape project management including: installation of new projects, estimating, coordinating resources and job costing. In this department you will be part of a dedicated professional landscape team that services some of the most prestigious residential properties in the Northeast. Our Property care Account Managers are the client’s primary contact to our company. They oversee the property to ensure that all agreements and projects are fulfilled to the client’s satisfaction. They also introduce the client to other areas of our company when additional expertise is needed. Our Property Care professionals provide a range of services – from fine gardening to lawn health care. A variety of positions are available for individuals with different levels of experience and expertise. The comprehensive services we provide for our clients include; irrigation & landscape lighting, expert pruning, property cleanup, garden maintenance and snow services. Enhancement teams install new landscape projects and gardens. Leads a team of skilled experts in irrigation / night-lighting, plant & lawn health care, maintenance and fine floral & gardening.